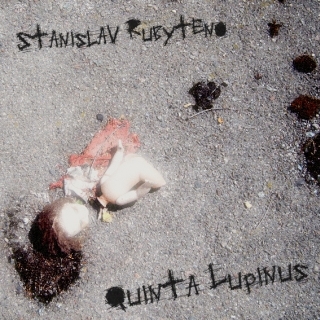 Emerging from the deep, as if progressively gaining strength, Stanislav Rubyteno’s one-track album “Quinta Lupinus” exposes the wide inner panorama of the author’s creative mind. This was released on Ukranian netlabel Umpako on 26th of April, 2011. As for the persona of Stanislav, he is the owner of Aventuel netlabel, and he’s writing music since 1998. The mentioned album, “Quinta Lupinus” is dedicated to the 25th anniversary of theChernobyltragedy, when the entire world learnt, how the other side of the peaceful atomic industry looks like. In the process of the creation such instruments as radio, mobile phone, cassettes, synthesizer and audio player were used. While listening to the whole 30 minutes thing, you are sure to get the mixed feelings of gloominess and apprehension; furthermore, some lucid and flanging images appear, turning one into another. For me personally, this music appeared before me flooded with saturated orange light, sometimes being sprinkled with some inexact corroded elements and subtle distortions. The sonic flow resembles a dream, when your mind is like a stroboscope, with flashing pictures, sudden changes in the environment and plexiform plots. I also must mark out the fibrillating organ or some other synthesized sound, which encompasses the whole album, and absorbs the other coexisting components. This entry was posted in Uncategorized and tagged ambient, drone, experimental, Stanislav Rubyteno, Umpako. Bookmark the permalink.